Obesity is a growing national problem in America. Defined by the CDC as a body mass index (BMI) of 30.0 or higher, obesity is highly correlated with increased risk of type 2 diabetes and leads to significant increase in potential healthcare costs. Obesity is particularly prevalent in areas of concentrated poverty and increases the overall economic and health related burdens on both the individual and the community. 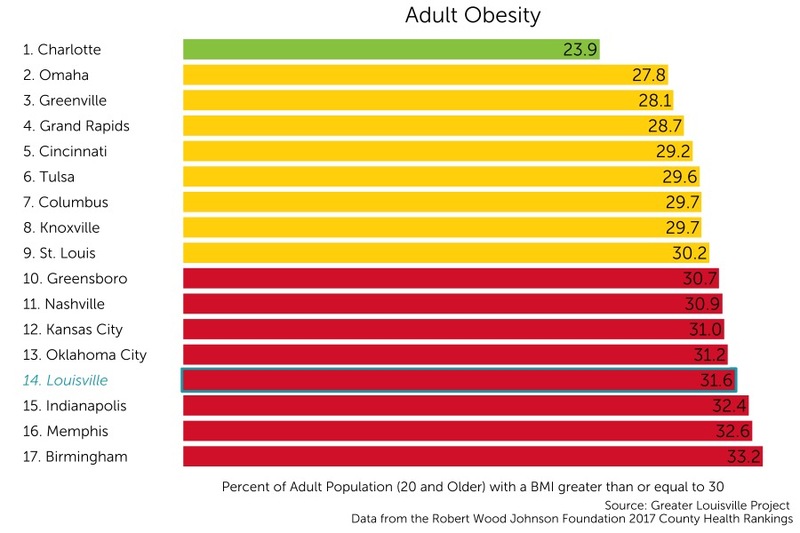 Louisville currently ranks 14th among its peer cities in rates of adult obesity with 31.6% of adults in the obese range.